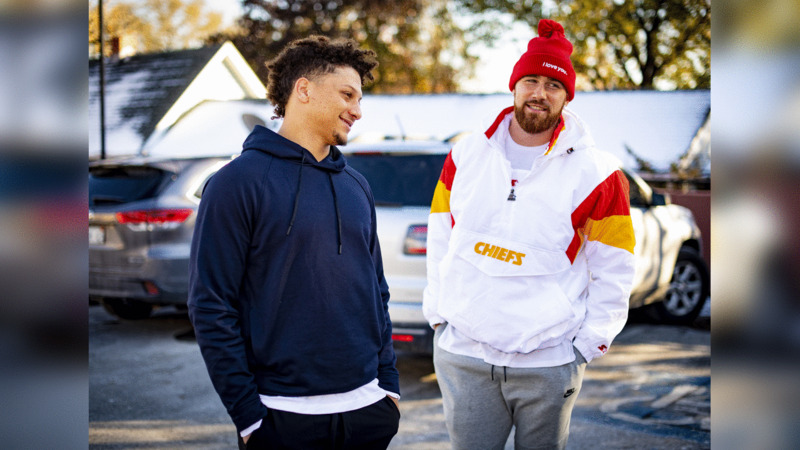 Pat Mahomes and Travis Kelce make a surprise visit to a family in need. While there, representatives from KC Southern and the Guadalupe Centers will inform the family that they will help pay for their home utilities for a year’s duration via the Guadalupe Centers’ Family Support Services programming. During the visit, Pat and Travis also brought along food and gifts for the family.